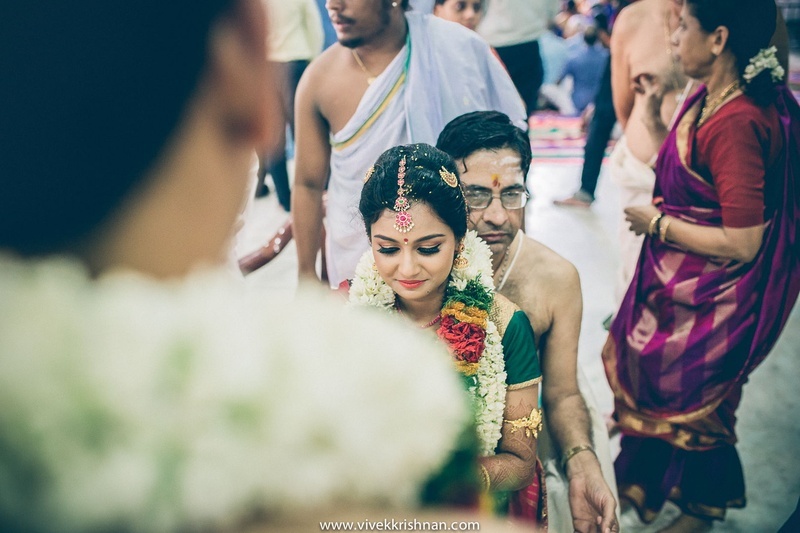 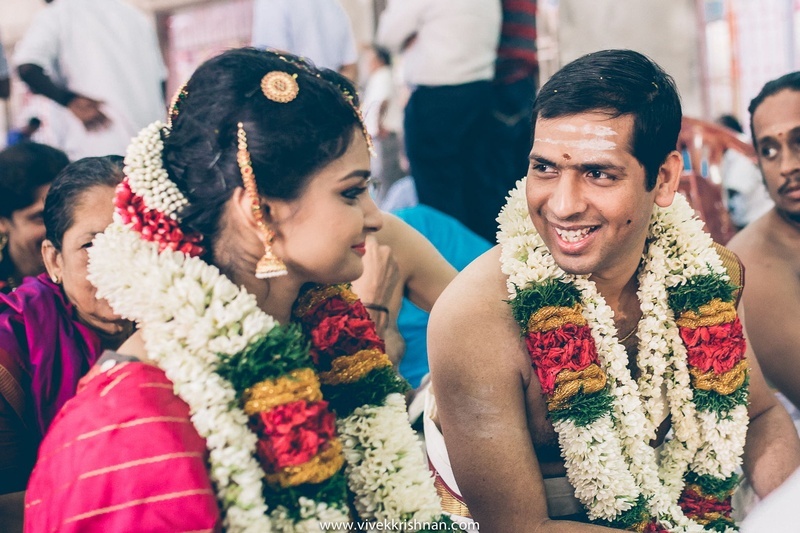 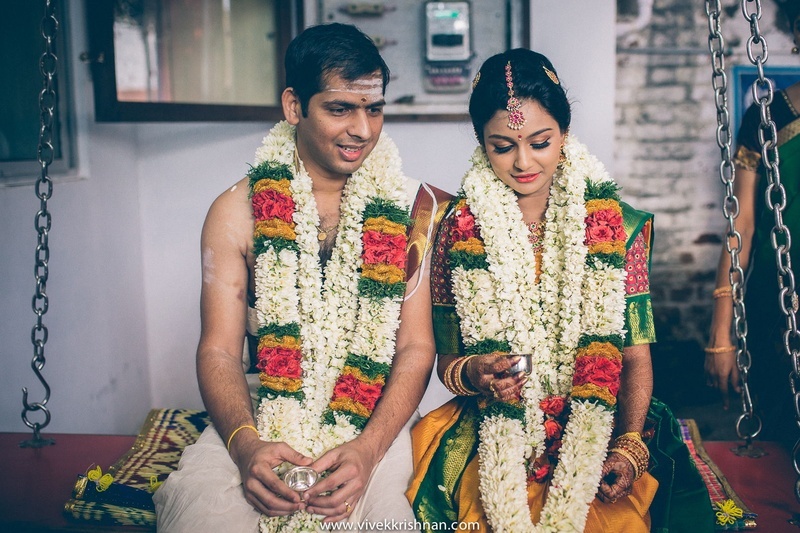 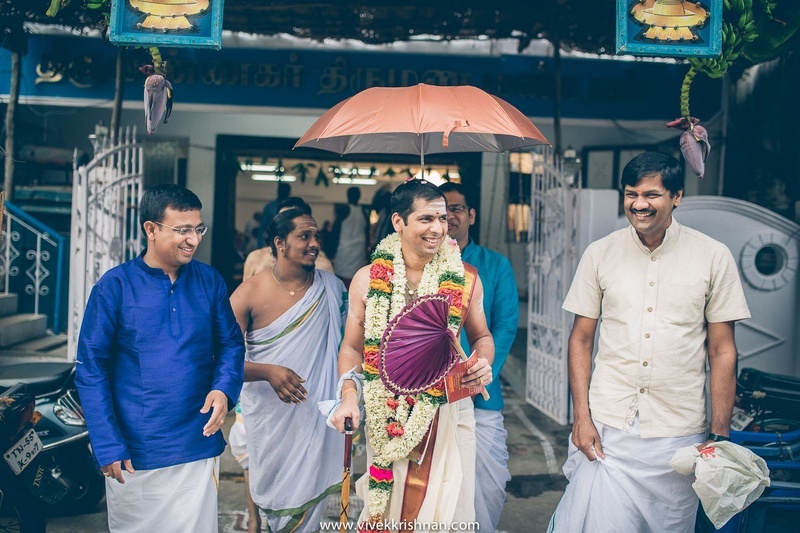 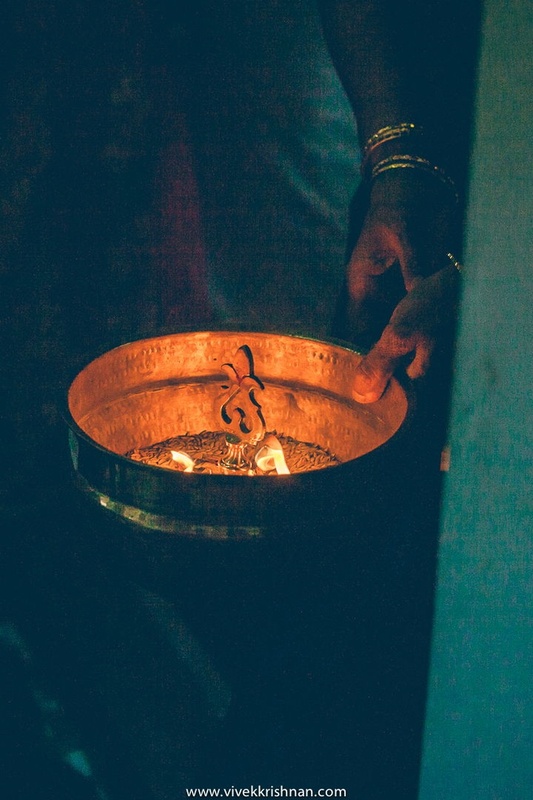 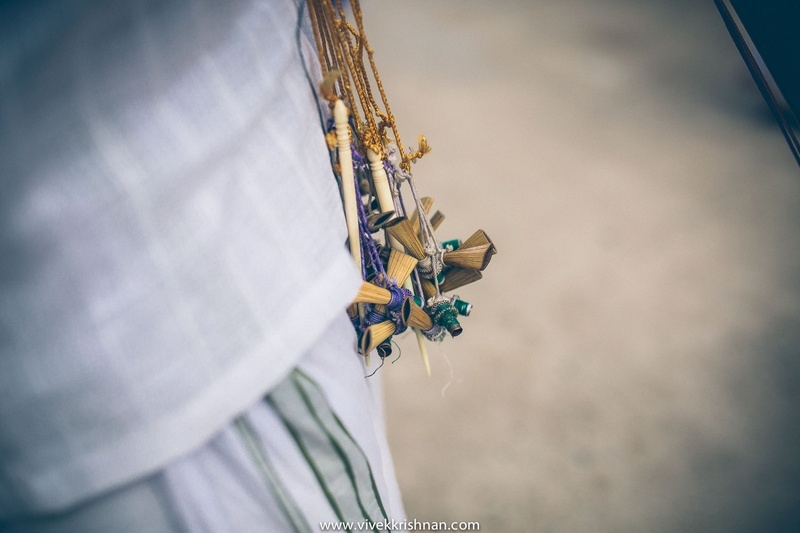 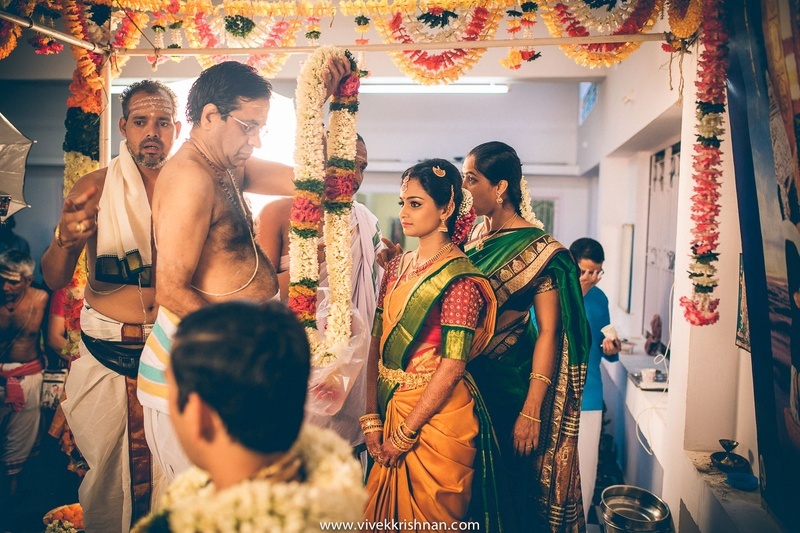 There’s something so beautiful about the simplicity of this marriage – the genuine smiles on Agalya and Yagnesh’s faces, the serene holiness of the temple and all the traditional rituals, every element was special in its own way. 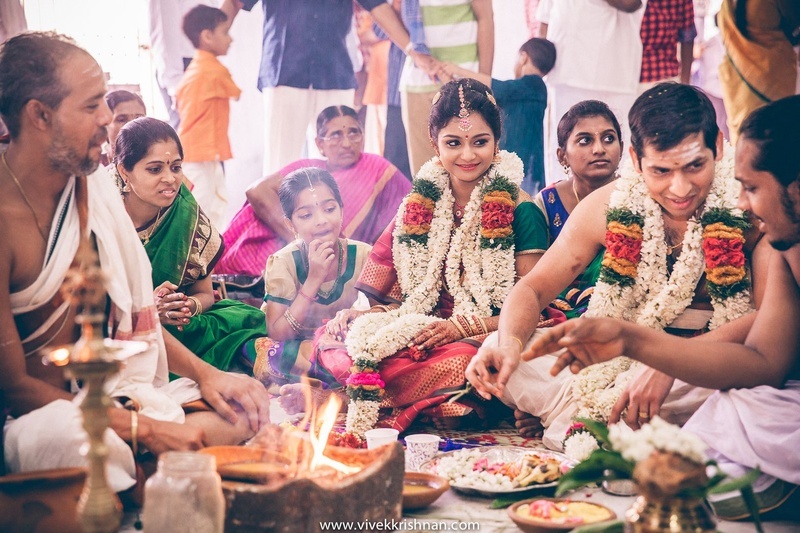 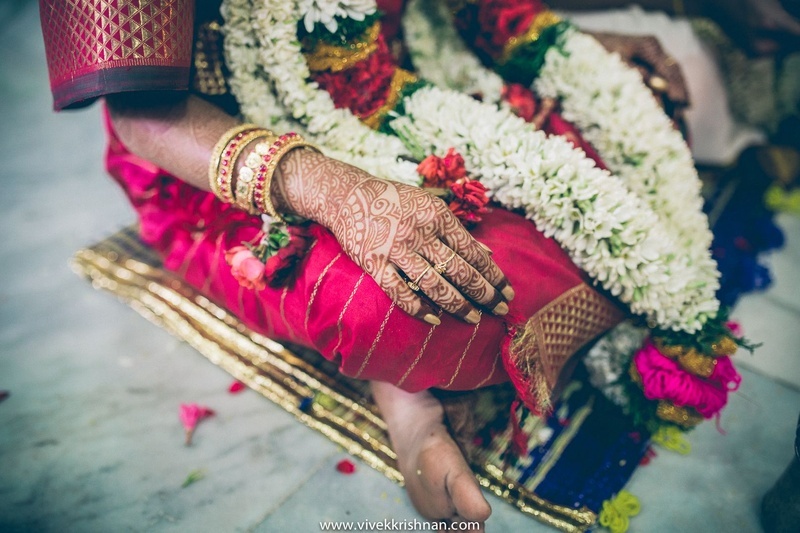 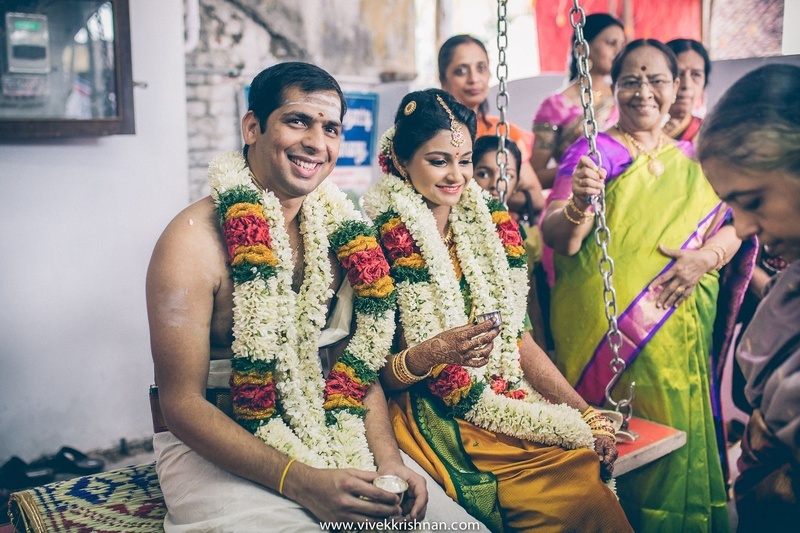 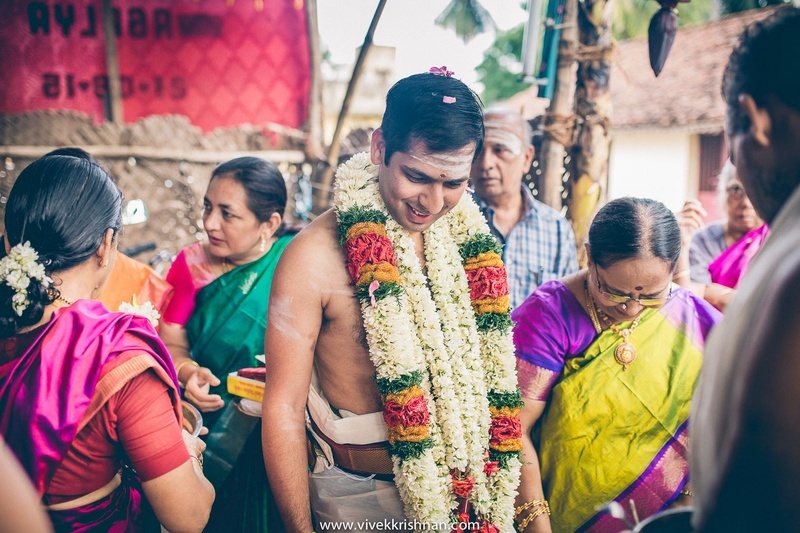 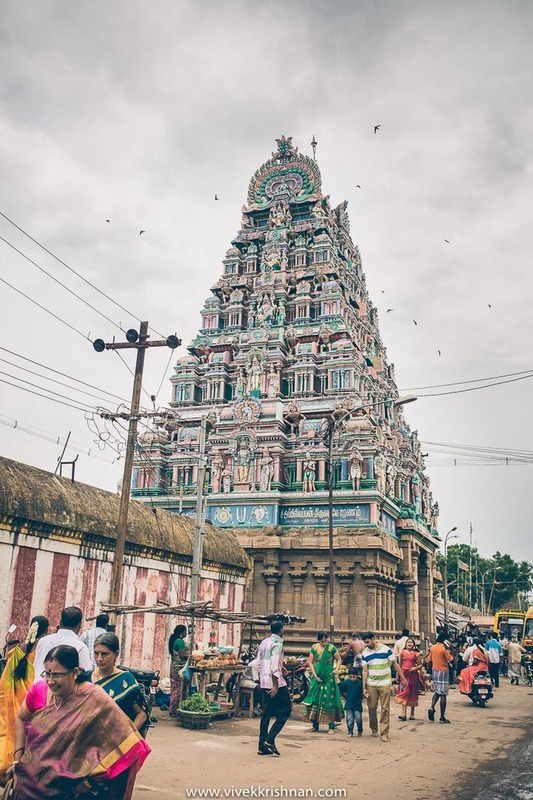 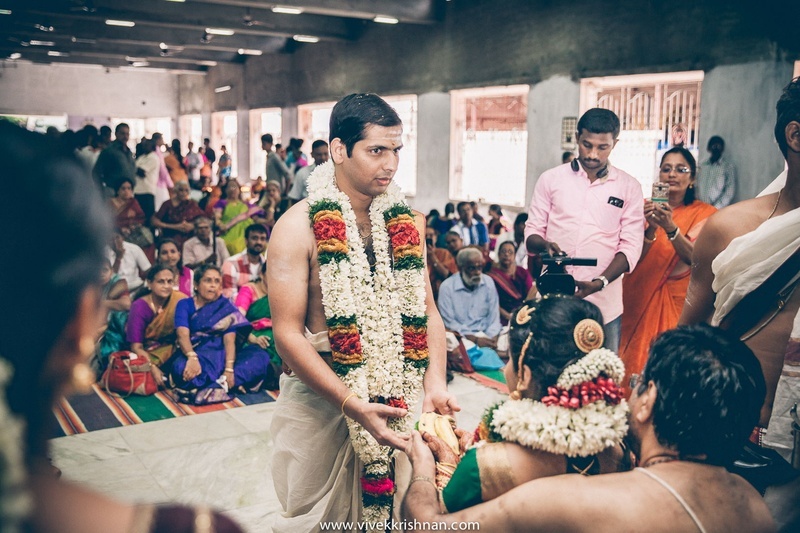 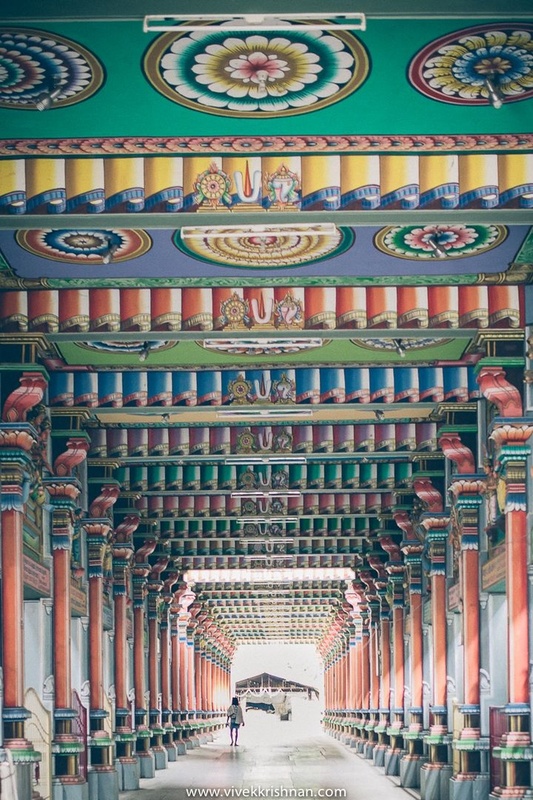 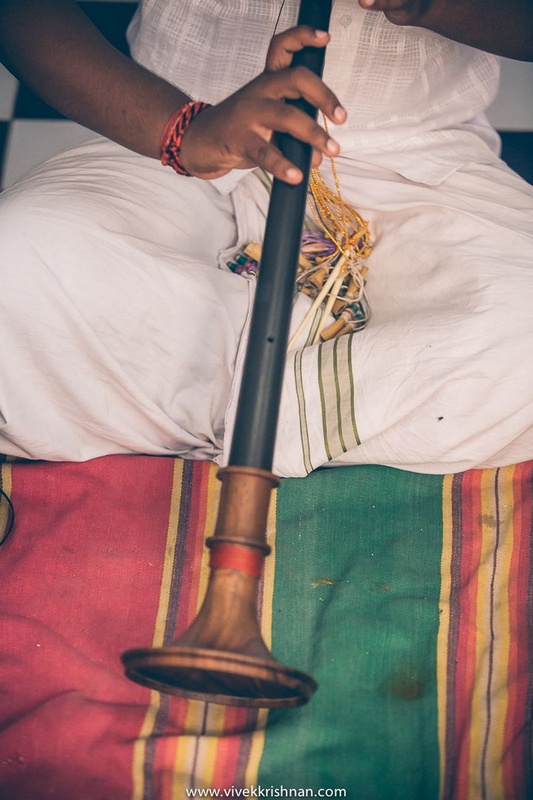 The multichromatic space at the holy Uppiliappan temple, Kumbakonam, held the wedding ceremony of this couple, which opted for all things traditional. 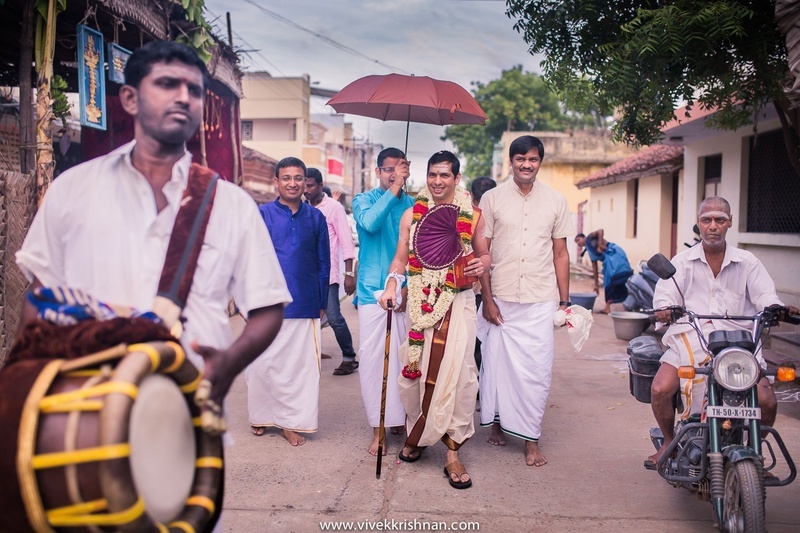 The celebrations began with the age-old Kashi yatra, where the father of the bride brings the groom to the wedding venue under an umbrella. 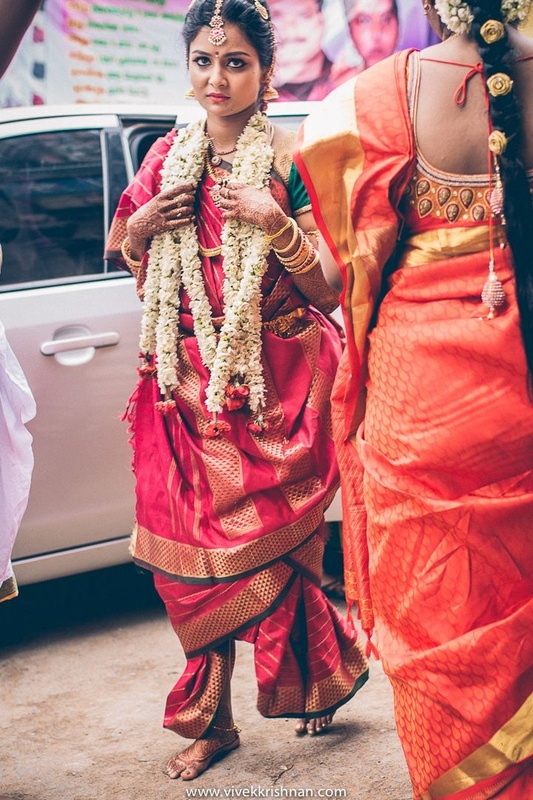 There, the beautiful bride Agalya was waiting in her rani pink pure kanjivaram silk saree wearing gorgeous kempu jewellery from head to toe, literally. 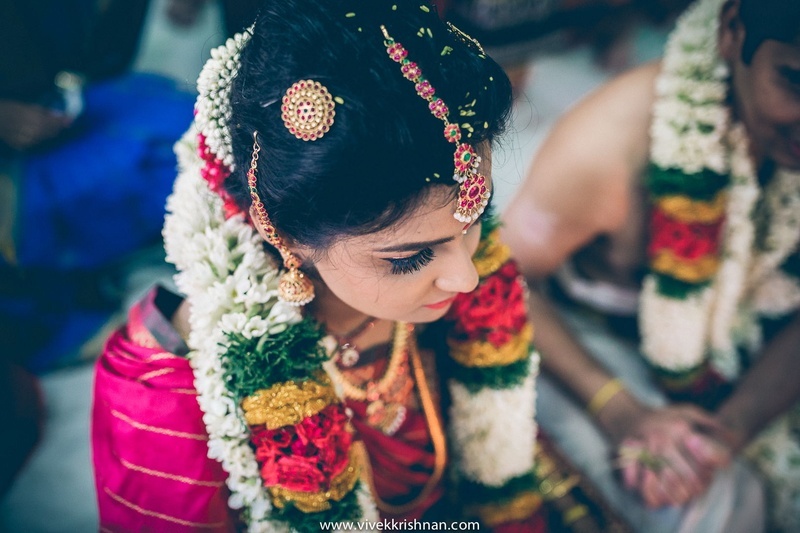 We absolutely loved the concept of using one kind of jewellery. 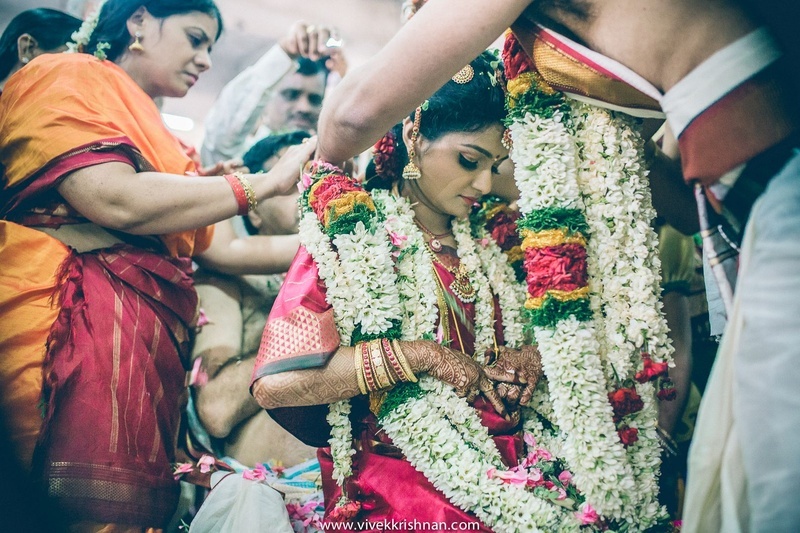 She adorned kempu studded hair ornaments, a maangtikka, and even bangles. 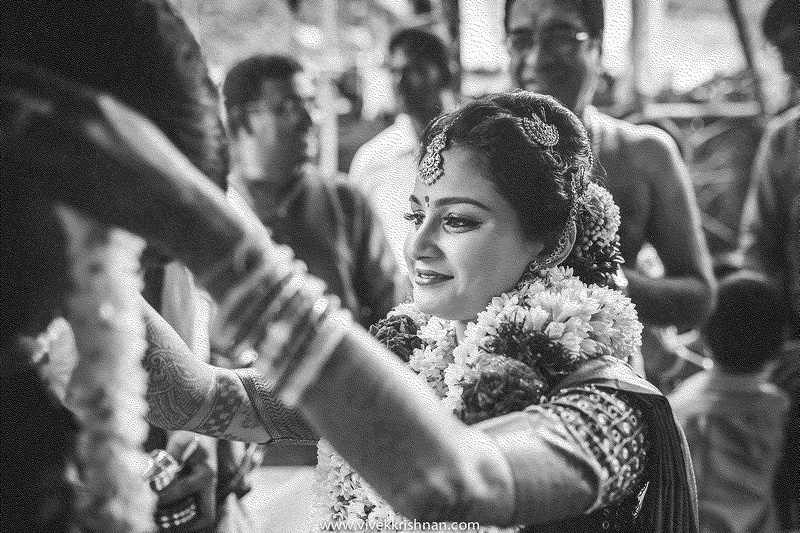 Her entire jewellery set only added to the elegance her saree and beautiful smile brought. 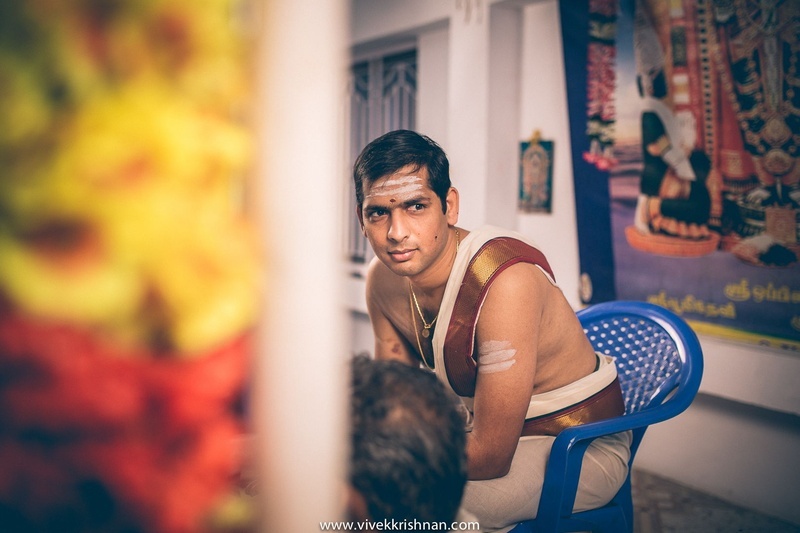 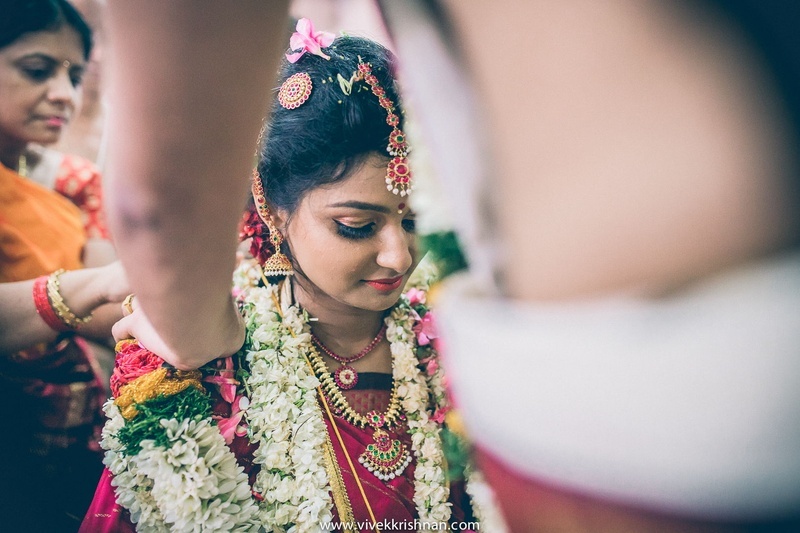 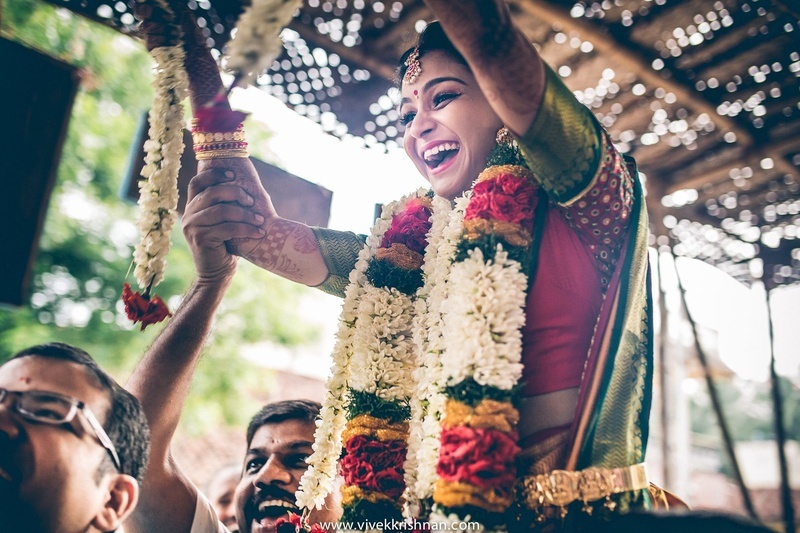 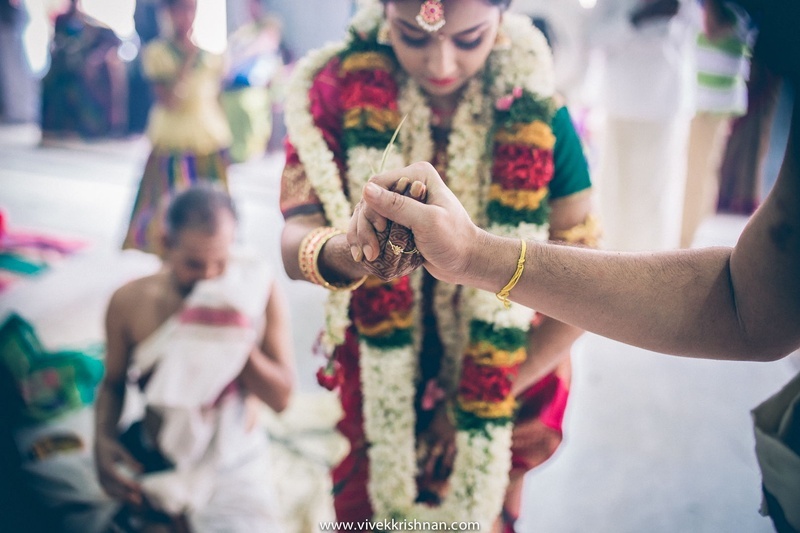 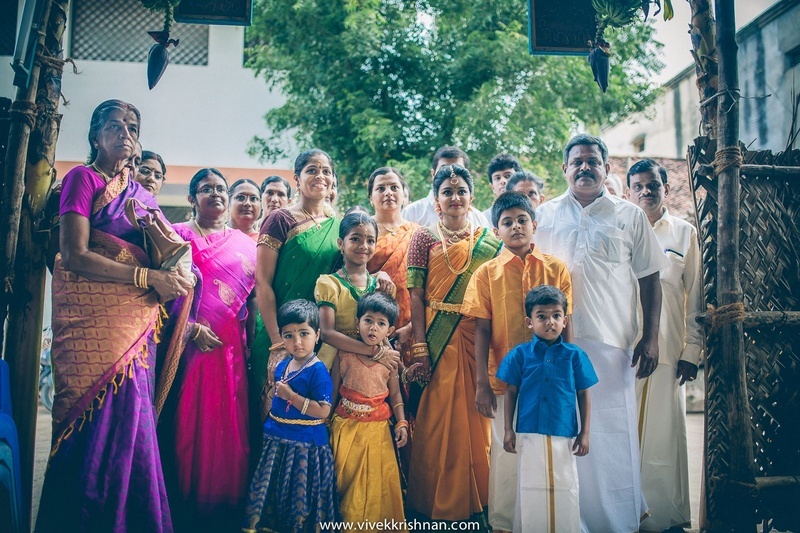 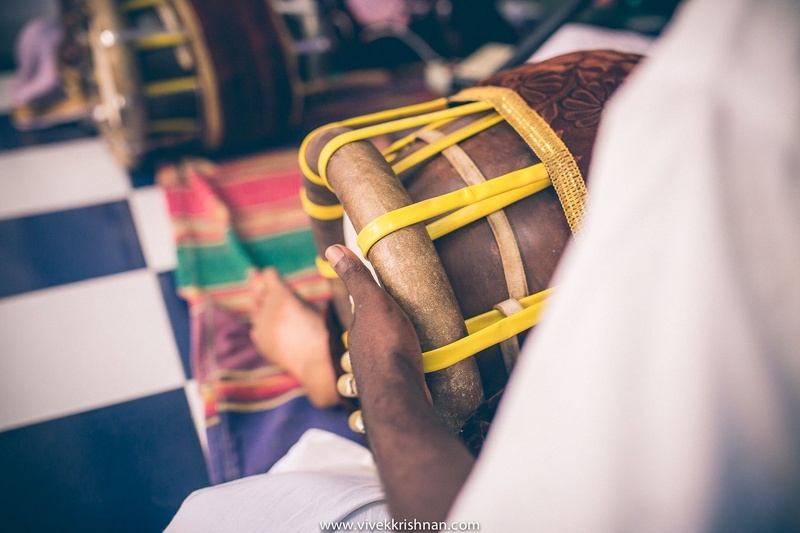 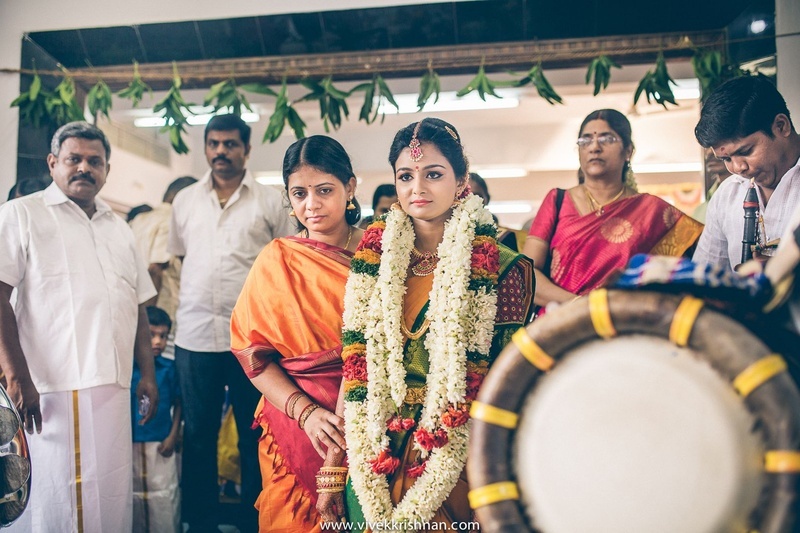 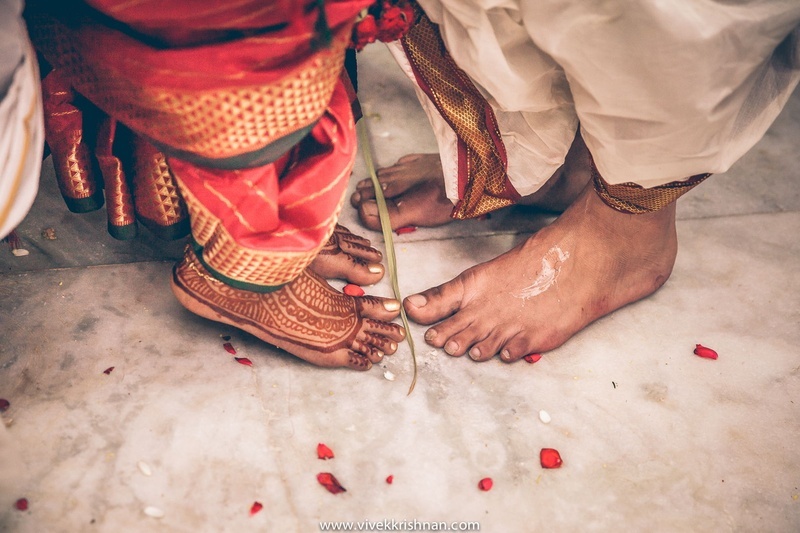 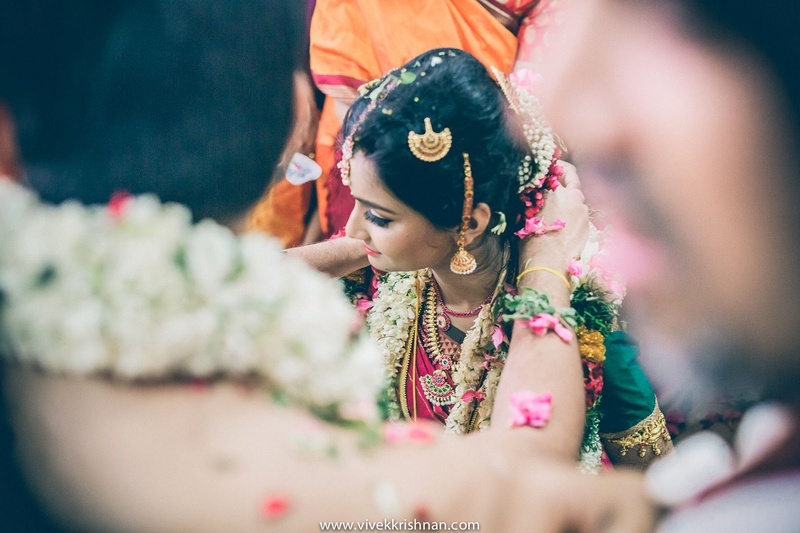 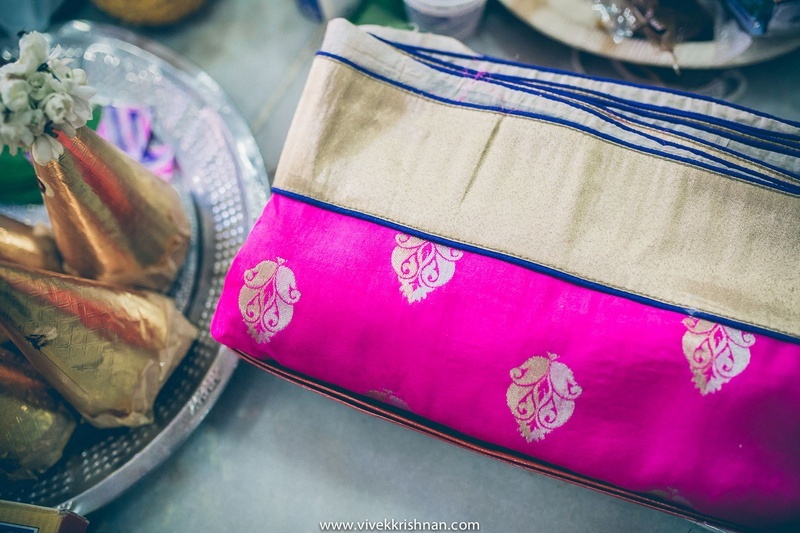 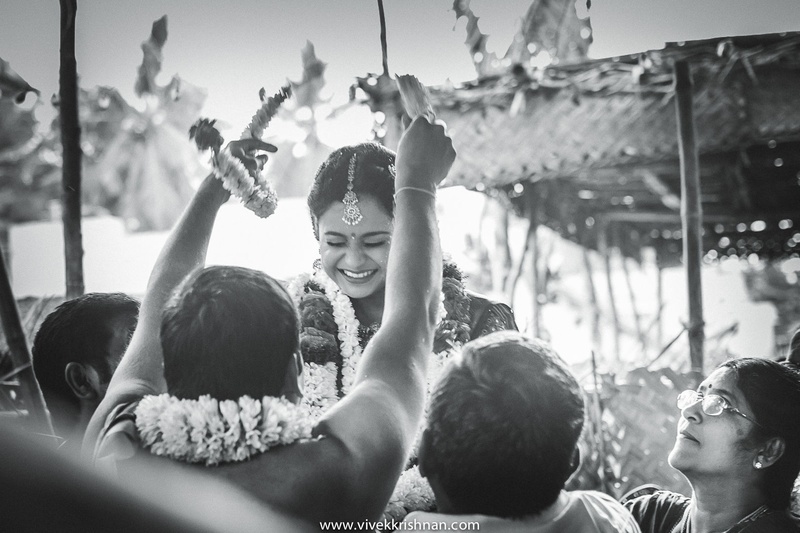 The talented team of candid wedding photographers at Vivek Krishnan Photography captured every picture from this simple South-Indian union excellently. 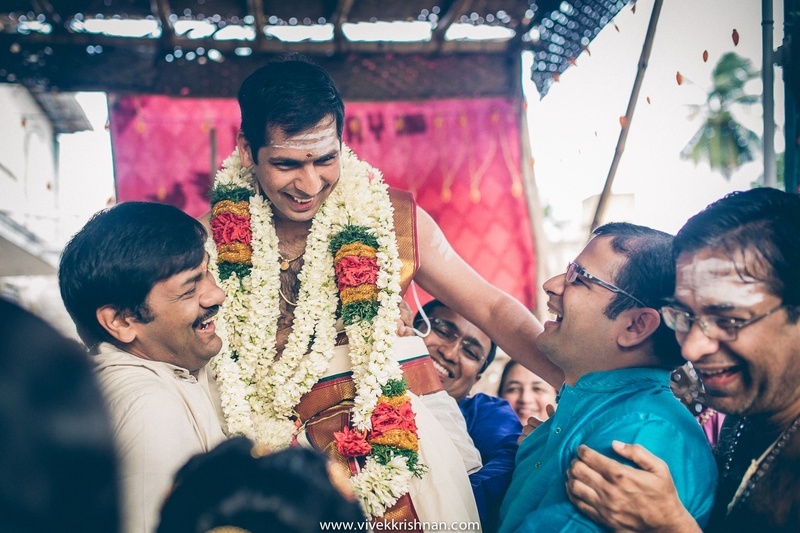 Every smile, every look of nervousness and every bout of laughter - especially during the varmala ceremony! 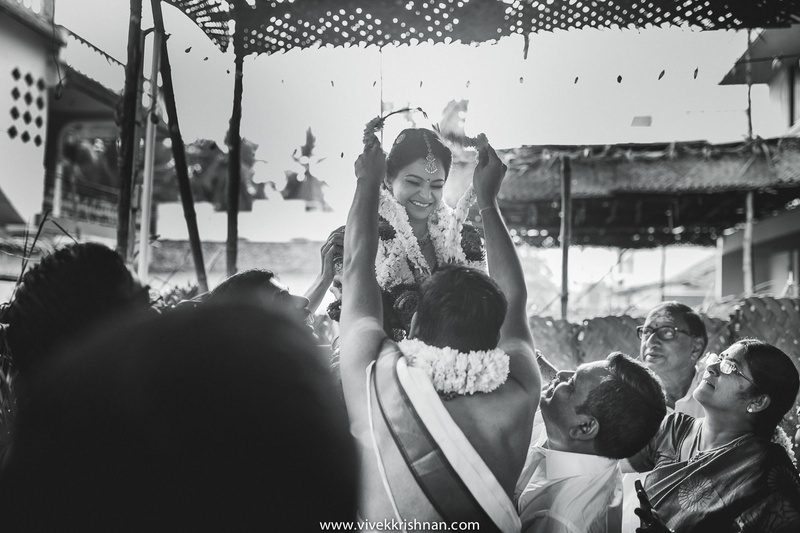 Each emotion was perfectly shot, etching these precious moments in time for Agalya and Yagnesh to remember forever.